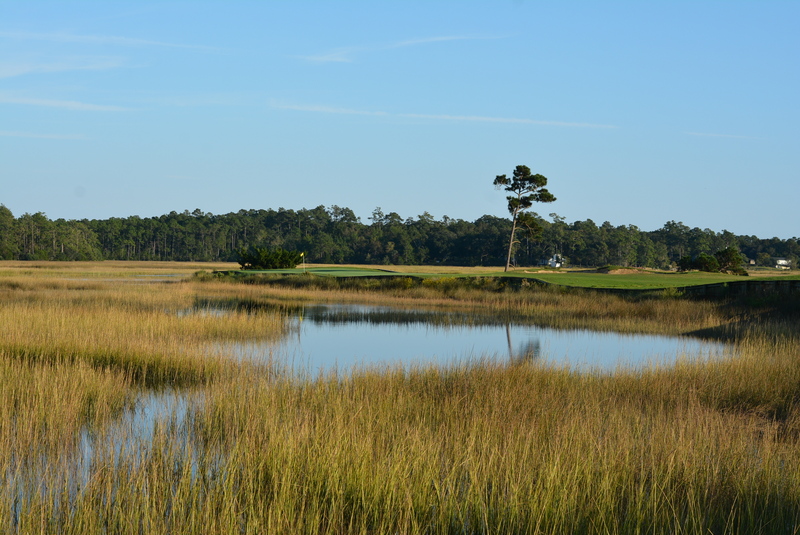 Situated upon one of the most breathtaking pieces of property that you'llever see is one of the most spectacular courses you'll ever play, designedby one of the most humble men you'll ever meet. 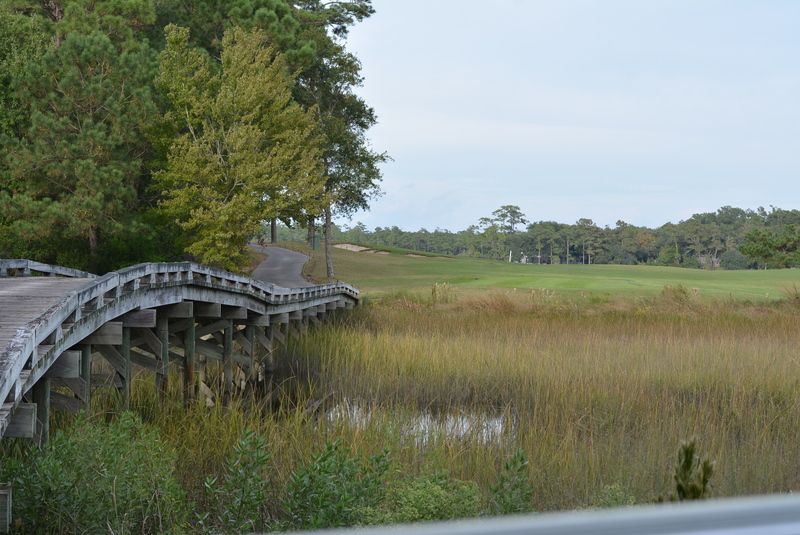 The very first day thatArnold Palmer gazed out across the Shallotte River, he remarked that thissite had the potential to be something very special. He assigned one of histop project managers, Erik Larsen, to the job and the result issensational. 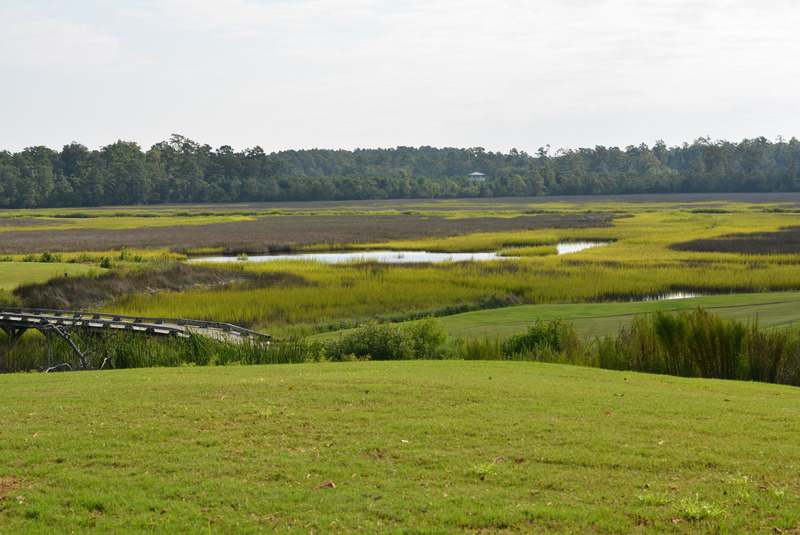 Six of the holes at Rivers Edge Golf Club sit high uponbluffs that overlook two miles of grassy marshlands bisected by the bendsand turns of the Shallotte River. 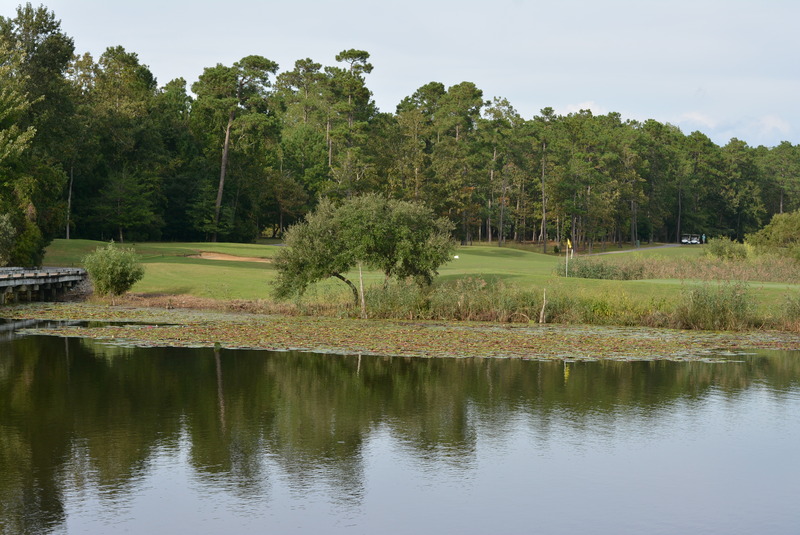 The interior holes at Rivers Edge areequally stunning with gentle elevation changes, freshwater lakes andSeaDwarf Paspalum turfgrass. 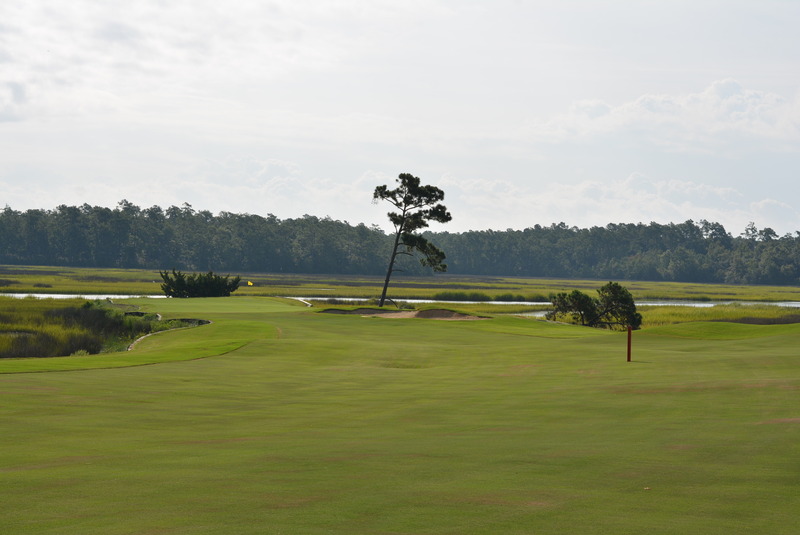 Golf Magazine ranked it among "Top New Courses You Can Play". 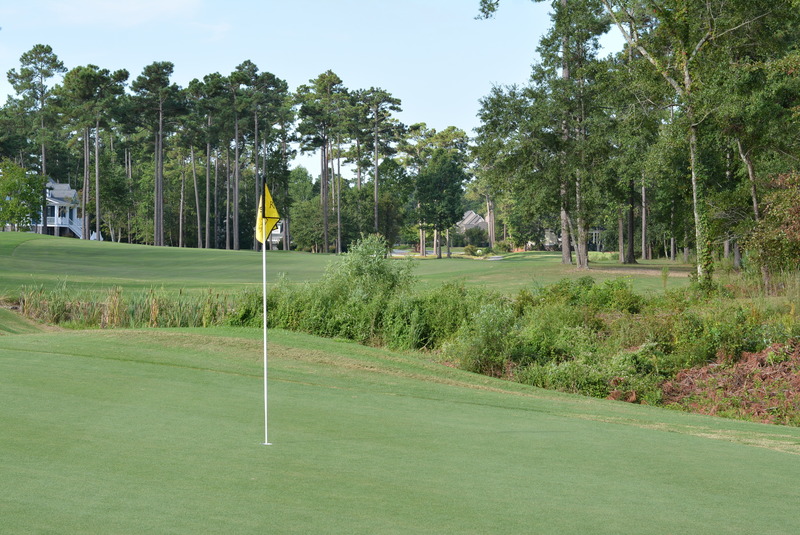 Located between Myrtle Beach, SC and Wilmington, NC, Rivers Edge is theperfect course to schedule for the first and/or last round of your MyrtleBeach golf vacation, particularly for golfers traveling from the north tothe Myrtle Beach Grand Strand. 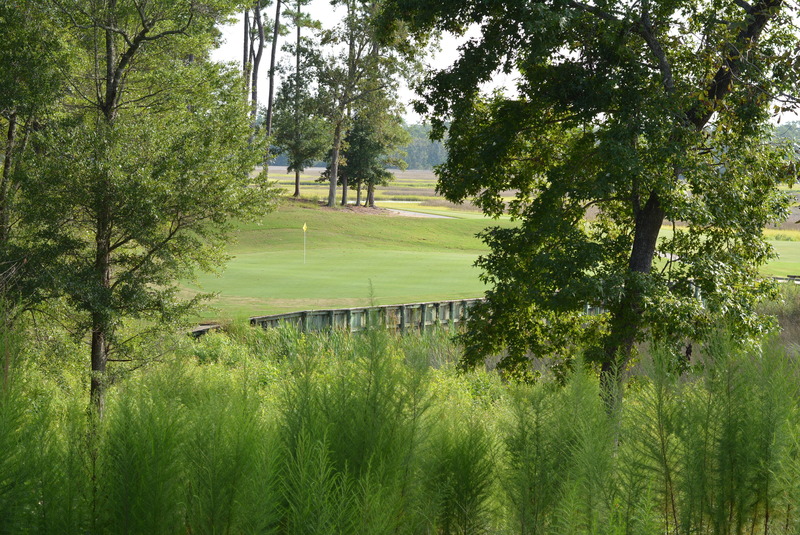 We offer an excellent practice facility, socome early and get your game ready for your round. 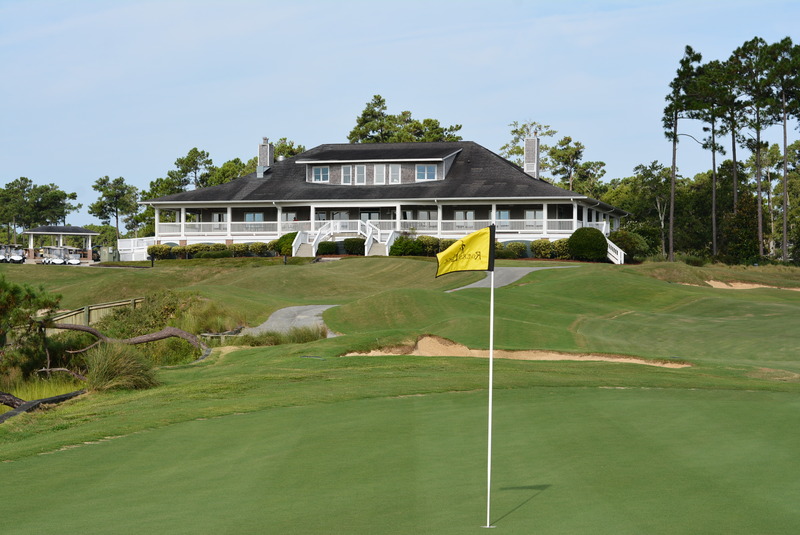 Our clubhouse overlooksthe 9th and 18th greens, offering an ideal setting for lunch or post roundsnack. 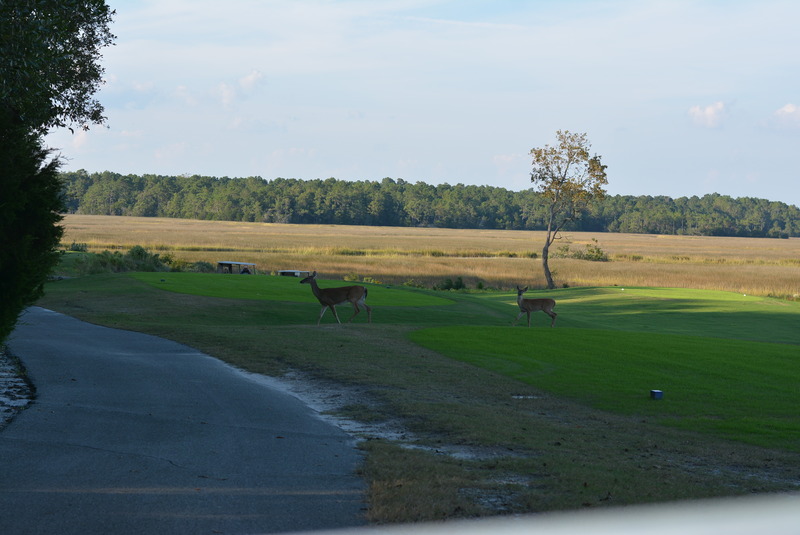 We also offer men's and ladies' locker rooms with showers for thosewho want to freshen up after their round.